Stay warm and fit this winter at one of our indoor pools! Register for winter programs today! A new year is for new beginnings. Registration for our winter programs and classes is underway, and we have more than 50 new offerings this season. Find a class that’s right for you and start 2016 off right. Draw and Paint Art Studio: The Draw and Paint Studio class located in the Alki Bathhouse will teach students various techniques for both drawing and painting. Students will acquire the skills to capture light, atmosphere and mood by working with water-based paints from their own drawings and photographs. The classes are intended for people 18 and older. The first session of classes runs Jan. 12-Feb. 16 on Tuesday evenings with a second session running March 1-April 5. Registration for each session is $120. Pianist Paul Sklar has made a career of playing for professional dancers and theater audiences. And on Friday afternoons, Paul can be found at Ravenna-Eckstein Community Center playing with a much smaller crowd. Paul teaches Kids ‘n’ Keyboards at Ravenna-Eckstein Community Center for children ages 5-11 every quarter. The classes teach note reading, ensemble playing, technique and solo piano. For beginners, special notation is used for playing fun songs, as the students gradually learn more music skills. For younger students, Paul incorporates musical activities and stories. The affordable group program works to achieve all the same results as private, individual lessons. Additionally, when the students play together, the timing and musical interaction really improves. What community center programs and services do you value most and why? How can Seattle Parks and Recreation improve our programs and services? What are the barriers to using community centers? As December begins to slip away, many of us start to plan for the year ahead. What changes will we make in 2015 to get a little bit closer to finding happiness and how will we stay on track? When talking New Year’s resolutions strategies for success, common tips include employing the buddy system and scheduling time for your resolution. We suggest finding a resolution that is incorporated into one of our new winter programs. We’ll provide the buddies and the structured time, you just need to show up! 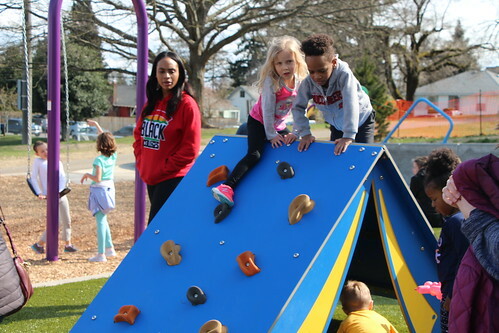 Registration for winter Seattle Parks and Recreation programs and classes has begun and we’ve added more than 60 new activities to the mix. Take a look at our new winter offerings and find something that’s in line with your 2015 goals. Resolutions can be fun. We promise. See something you like? Sign up now! Registration information and details can be found in our community center brochures here. Sign up for a program here. Recreation leader, John Hasslinger, surrounded by teens at College Night. 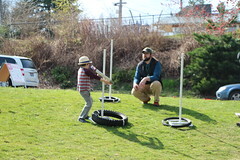 John Hasslinger started working for Seattle Parks and Recreation six years ago as a teen development leader and has been extremely successful in increasing youth participation. “Wherever he goes teen programs explode,” Community Center Coordinator Carl Bergquist said. When Hasslinger worked at Bitter Lake, Bergquist said he had 30-40 kids actively involved in programs and events. At Hiawatha he took a program attended by virtually no youth and transformed it into a program attended by “dozens if not hundreds.” He has supervised as many as 12 youth employees at once, actively engaging them in a broad range of activities. Hasslinger has served 12 community and teen life centers and currently is the recreation leader at Hiawatha. He said he is proud of his staff’s cooperative spirit and their work to make the community center a hub of teen opportunities. 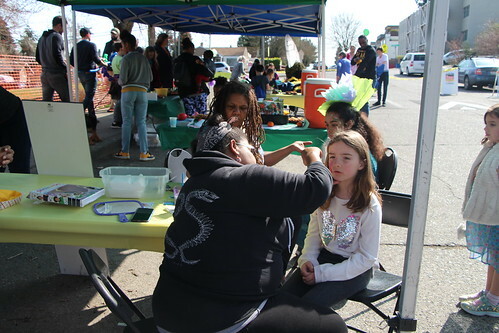 Hasslinger said he feels fortunate to have spent several years in West Seattle building lasting relationships with youths, developing more consistency in teen programming and bringing unique outside opportunities into the neighborhood. With the support of Southeast Late Night staff, Hasslinger has helped 10 West Seattle youths participate in daily work-shadowing at the community center through the Youth Career Training Program. This month, each of those 10 students will have served 120 hours and completed 12 weekly training sessions to develop life and work skills. “Partnering with fellow Seattle Parks staff to deliver such programs is super rewarding and a good reminder how much our youth benefit from our community center teamwork,” Hasslinger said. Before joining the department, Hasslinger taught English in public schools in Japan and served as a Professional Golfers’ Association instructor and head golf professional. According to the Alzheimer’s Association, every 68 seconds someone in the United States is diagnosed with Alzheimer’s disease. It’s estimated that by 2050 someone will be diagnosed every 33 seconds. It’s hard to change the statistics regarding memory loss, but Seattle Parks and Recreation is trying to change the memory loss story. Last year Seattle Parks began walks for persons with memory loss and watercolor classes, and this spring the department will work with community partners to offer a variety of dementia-friendly programs across the city. This month, Seattle Parks hosted dementia expert Teepa Snow and the home healthcare business CareForce at Jefferson Community Center to teach staff and community members the skills needed to work with persons with memory loss. Dementia expert Teepa Snow teaches Seattle Parks and Recreation staff about the signs of dementia. Snow said the reason dementia is becoming such an issue is because the baby boomers are reaching their mid-60s and the number of people exhibiting signs of memory loss is growing rapidly. She said that 10 percent of people age 65 have some sort of dementia brewing. Snow said it’s easy to want to correct people suffering from memory loss or, as a caretaker, to become overwhelmed or frustrated. “The goal of a conversation with somebody is not to be right, but to allow yourself to establish a relationship,” she said. Becker agreed and wants Seattle Parks to help lead that positive narrative. She pushed for a task force to be created in 2013 to explore what successful programming for people with memory loss could look like. She is preparing for a full launch of Dementia-Friendly Recreation in 2015. “It’s so great that we’re all learning how to better communicate with persons with dementia and how to keep them better engaged in life,” Becker said. For a listing of upcoming 2014 memory loss programs, click here and select the winter brochure. If you’d like to volunteer for the programs, call Mari Becker at 206-684-4664. •	All community center programs scheduled after 6 p.m. are canceled. •	All pool programs are canceled. •	Pools and community centers will be open for drop-in use until their regularly scheduled closing times: http://www.seattle.gov/parks/centers.asp and http://www.seattle.gov/parks/pools.asp. •	All athletic fields are closed. •	All evening recreation programs are canceled. •	Parks and Recreation’s middle-school learning centers are closed. •	Late night programs will not take place tonight. •	Golf courses are closed but not open for sledding because there is not enough snow. 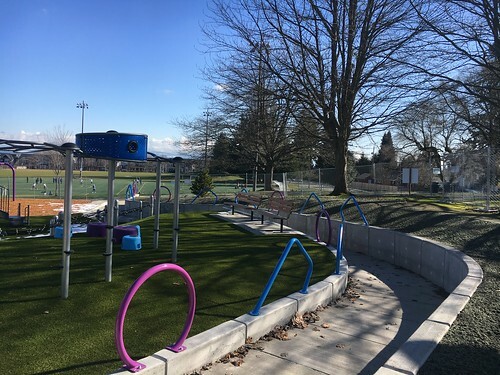 The Seattle Board of Park Commissioners will hold its next meeting at 6:30 p.m. Thursday, June 24, in the Park Board Room at the Parks Administration Building at 100 Dexter Ave. N (the corner of Denny and Dexter in Denny Park). Parks and Recreation 2010 operating budget. Parks staff will brief the Board on the recent mid-year 2010 reductions to the Parks and Recreation operating budget, announced by Mayor Mike McGinn on Monday, June 14. 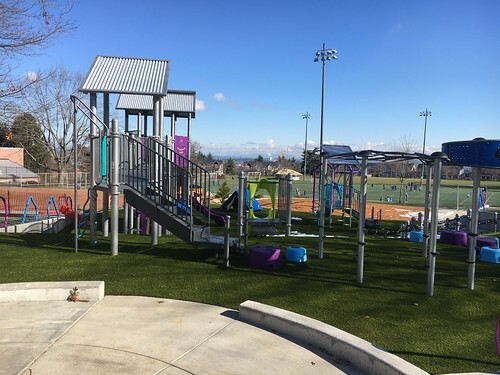 Budget impacts on summer park maintenance. Parks staff will brief the board on the impacts of mid-year 2010 budget reductions, which include keeping three positions open in each of eight districts, for a total of 24 positions. 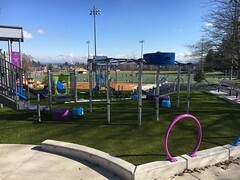 There will be impacts on Parks’ ability, for example, to collect litter and garbage, pick up recycled material in parks, maintain play areas, take care of the turf, maintain plant and flower beds, clean comfort stations (outdoor restrooms), and provide support for special events and volunteer projects. Parks staff and members of the Center City Task Force will brief the Board on its recent reactivation and new recommendations. Originally created in 2006 by then-Mayor Greg Nickels, the Task Force’s original charge was to advocate for the parks, implement strategies for park improvements, and guide the expenditure of funds proposed in upcoming capital and operating budgets for the upcoming support of center city parks. 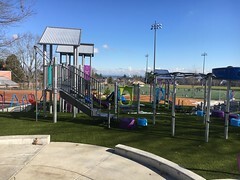 The City has carried out many of the recommendations, including the funding of park rangers, active programming in the parks, physical improvements, and better coordination with police. The newly constituted Task Force has been meeting since 2009, and has made new recommendations. Among them are the creation of an “Umbrella Coalition” to advocate for downtown parks and the possible creation later of a nonprofit organization to empower neighborhood groups, reach out to underserved populations, raise funds, create programming, and other tasks related to improving and enlivening downtown parks. Parks and Recreation summer programs. Parks staff will brief the board on the broad array of recreation programs Parks and Recreation offers this summer. A briefing paper on the work of the Center City Task Force will be available on the web at http://www.seattle.gov/parks/parkboard/ on Friday, June 18. Parks and Recreation Superintendent, the Mayor, and the City Council on parks and recreation matters. For more information, please contact Sandy Brooks at 206-684-5066 or sandy.brooks@seattle.gov.